Welcome to Coupons & Freebies Mom! We’re excited to share these No Bake Dipped Cookie Dough Bites with you! And we’d also like to invite you to enter our new $100 Amazon Gift Card giveaway, where you could win a FREE $100 Amazon Gift Card! How awesome would that be? 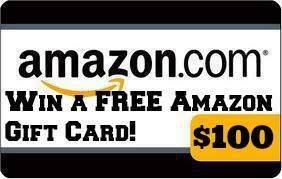 CLICK HERE TO ENTER TO WIN $100 AMAZON GIFT CARD! These No Bake Dipped Cookie Dough Bites are the perfect treat to make for Valentine’s Day or any special occasion! Everyone loves eating cookie dough and these great bites are perfect to share with others and feed that craving while presenting a beautiful treat. Dipped in candy, almond bark or chocolate bark these are a great treat to prepare for your kids class parties, to share with friends or as a special treat for yourself. Combine flour, salt and cinnamon in a bowl. In a different bowl mix together butter, brown sugar, sugar, and vanilla. Once creamy add in the four mix and beat until creamy. Add water if the mixture is to dry. Take the cookie mix and roll into balls and place on a cookie sheet lined with wax paper. Place into the freezer for about 20 minutes to firm up the balls. Melt the candy melts in the microwave according to the directions in the package. Gently dip the balls into the melt. Place them back onto the wax paper to dry. Make sure to store any extra No Bake Dipped Cookie Dough Bites in an airtight container and refrigerate. Decorate with your favorite sprinkles, extra melted candy that has been colored pink, red, or whatever color you choose for a fun flourish and elegance. 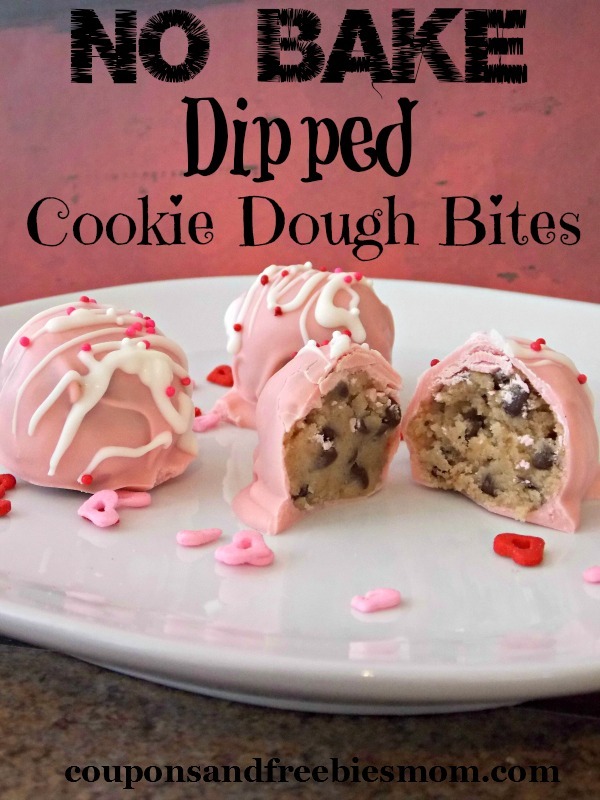 These are a great treat for all ages and sure to be a hit at your kids class Valentine’s parties this year. Check out all of our great Recipes for more fun treat and meal ideas! And if you haven’t entered to win a Free $100 Amazon Gift Card on our site yet, be sure to do that now! Good luck!